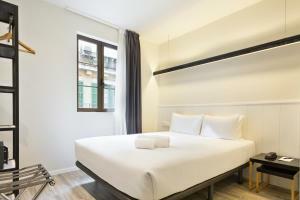 Acta BCN 40 Hotel is centrally located 350 metres from Barcelona’s Plaza Universitat, and a 5-minute walk from the Ramblas. 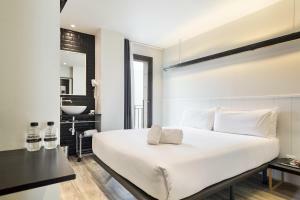 It offers modern rooms with flat-screen satellite TVs. 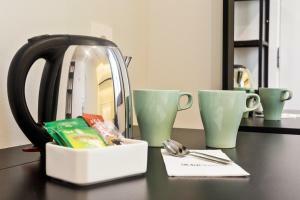 Rooms at the Acta are air-conditioned in summer and heated in winter, and have a free safe. 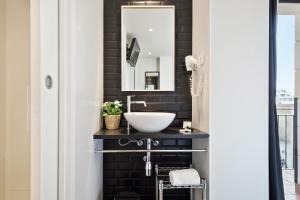 The private bathroom comes with a hairdryer and amenities, and you can request an iron at reception. Guests can enjoy a varied buffet breakfast in the hotel’s stylish breakfast room. A gluten-free breakfast is available upon request. There are many bars, shops and restaurants within a short walk of the hotel. The Acta BCN 40 has a 24-hour front desk and offers luggage storage. Parking is available nearby for an extra charge. For reservations of more than 15 days the hotel reserves the right to charge 50 % of the total amount. Guests are kindly requested to contact the hotel directly for any special requests. Please note that gluten-free breakfast is available on request. 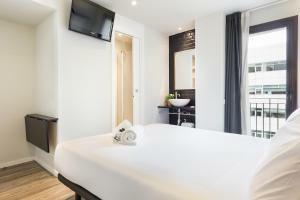 This modern and comfortable room includes 1 double bed or 2 single beds. It features satellite TV, and a safe. The private bathroom comes with bath or shower. Rooms are air-conditioned in summer and heated in winter. Please note bed type is subject to availability. Baby cots can be added upon request. 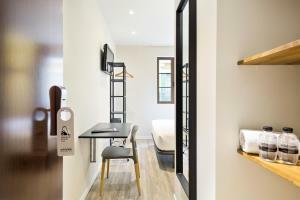 Rate: € 107.79 ... € 258.57; select dates below to get current rates. 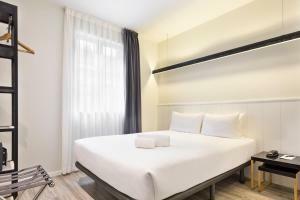 This comfortable room includes 3 single beds. 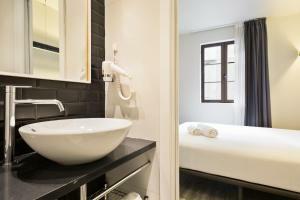 It features satellite TV, a desk and a private bathroom with hairdryer, shower or bath and toiletries. Rooms are air-conditioned in summer and heated in winter. Children's cots cannot be added to this room type. Rate: € 180.22 ... € 225.51; select dates below to get current rates. 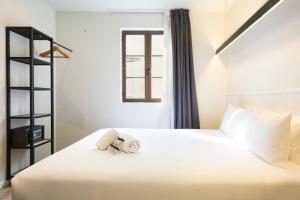 This simple and comfortable room includes 1 double bed. It features satellite TV, and a safe. The private bathroom comes with bath or shower. Rooms are air-conditioned in summer and heated in winter. Children's cots cannot be added to this room type. Rate: € 65.32 ... € 278.40; select dates below to get current rates.